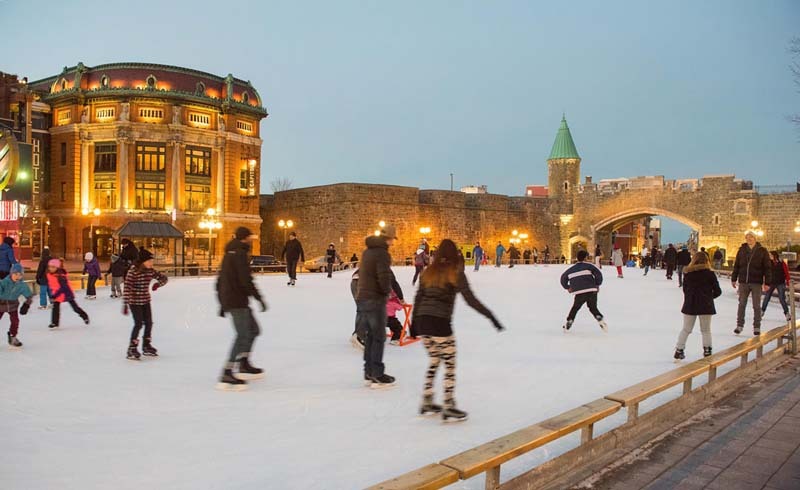 Canadian winters might be bitterly cold, but in Quebec City, it’s all about embracing the chill with ice slides, snow tubes, and strolls along powdery cobblestone streets draped in sparkling holiday lights. North America’s oldest fortified city is at its dreamiest during the cold season, when a dusting of snow makes everything look so magical, and the highly anticipated Quebec Winter Carnival heats up the Old Town with toasty terraces, outdoor ice bars, and tons of outdoor activities. The end-of-the-year celebrations are particularly festive in Quebec City. Or, come Christmastime, the entire town transforms into a scene straight from a holiday card, replete with festive joy and tasteful decorations. 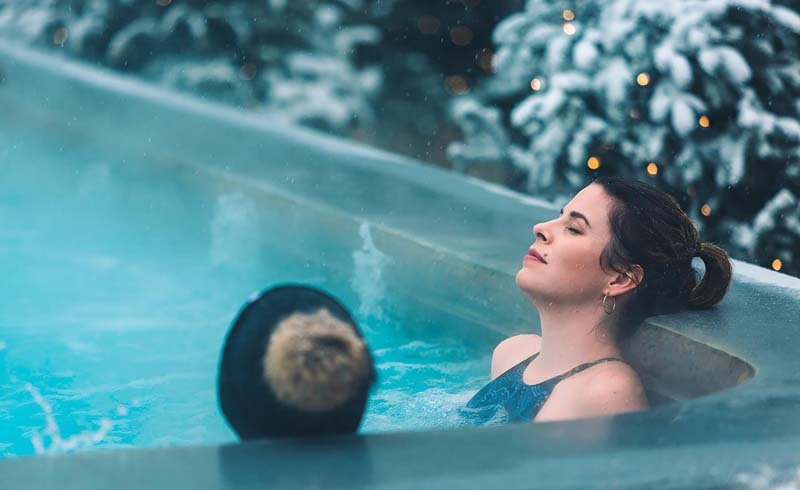 From savoring the Christmassy charms of Quartier Petit-Champlain to soaking in a Nordic spa, these are the best things to do in Quebec City during winter. There’s a reason all winter visitors to Quebec City flock to Quartier Petit-Champlain. Resembling a quaint European village, this picture-perfect neighborhood in the Lower Town is all narrow cobblestone streets lit by Victorian lamps and characterful stone facades decked out in garlands and glittering Christmas lights. Immerse yourself in the fairytale-like atmosphere as you stroll along the snow-blanketed Rue du Petit-Champlain and then warm up with a chocolat chaud by the fireplace in one of the inviting cafés and bistros lining the street. As the oldest commercial neighborhood in North America, expect to find lots of charming independent boutiques and artisan shops selling original souvenirs and locally made products. 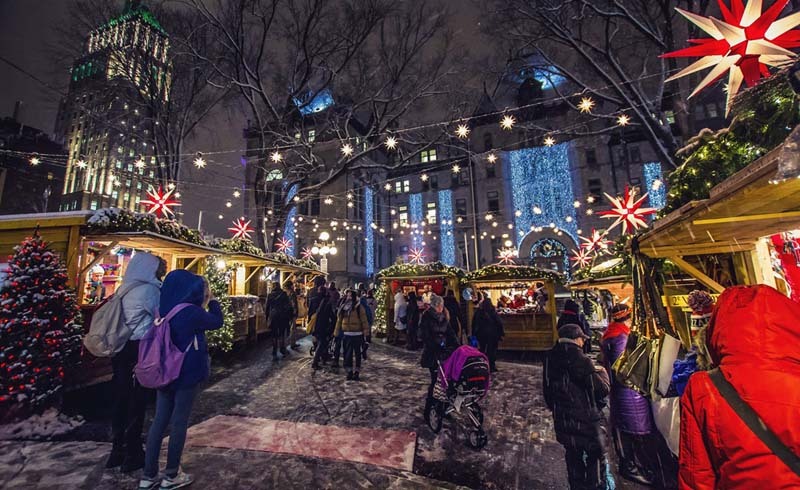 Every winter, Le Marché de Noël Allemand recreates the magic of a traditional European Christmas market in the heart of Old Quebec with over 80 adorable wooden chalets dressed for the holidays and filled with original festive treats. With choral singing, beautiful decorations, and the scent of roasted almonds wafting through the crisp, cold air, it really feels like stepping into a winter wonderland. In addition to German specialties like glühwein, bratwurst, and gingerbread, you’ll find tons of delicious maple products, local handicrafts, and unique Christmas gift ideas for everyone on your list. 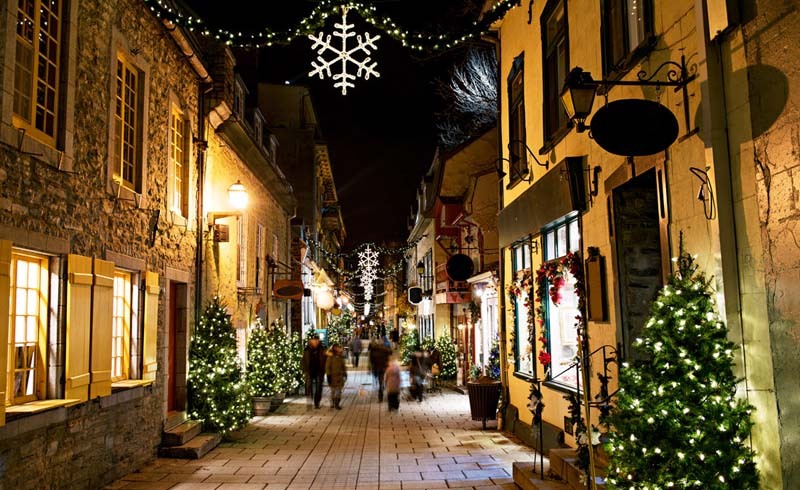 Quebec City’s German Christmas Market is set out in the Town Hall square and gardens from November 22 to December 23, 2018. Framed by fanciful castle-like architecture on one side and imposing historical buildings decked out in Christmas decor on the other, the Patinoire de la Place d’Youville is one of the most scenic of Quebec City’s ice skating rinks. Located on Rue Saint-Jean, just outside the Old Town, the open-air rink is open from mid-October to mid-March and comes equipped with a refrigeration system that guarantees the ice surface remains perfect at all times. Skating at night, when the turrets and arches of the old town walls are awash in colorful lights, is an experience not to be missed during the holidays. One of Quebec City’s most amazing winter attractions, the fleeting Hôtel de Glace lures visitors into a magical world of ice and snow. 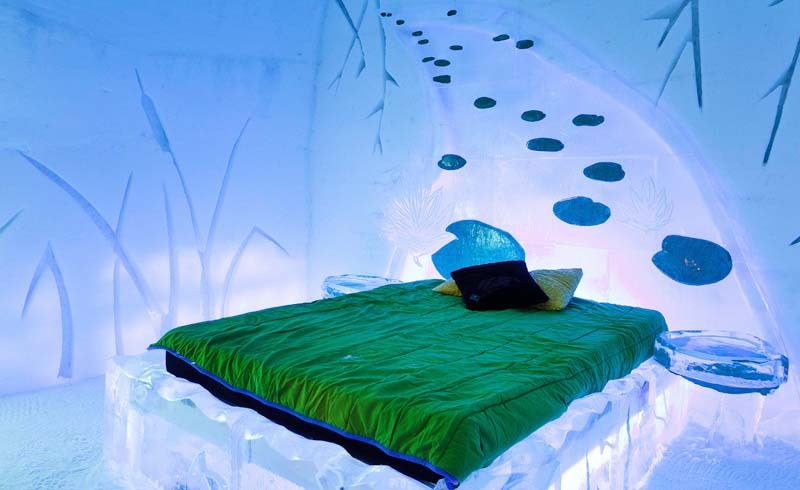 Its frozen rooms are rebuilt from scratch every year following a new thematic concept, but always feature intricately snow-carved walls, artistic lighting, and rock solid ice beds with thermal sleeping bags. The themed suites are particularly spectacular with their private spas, romantic fireplaces, and surreal ice art. For those who can’t brave the freezing temperatures, but still want to admire the stupendous ephemeral architecture, North America’s only ice hotel also offers guided day tours of the facility, followed by a cocktail in the on-site ice bar. You can also couple this with lunch in the hotel’s restaurant or a visit to the Ice Workshop, where you can learn how to make your own ice glass. Hôtel de Glace is located just a short drive north of the city center, right next to Valcartier Vacations Village, and will be open from January 3rd to March 23rd, 2019. Quebec City is magical at Christmastime, but it is during the Carnaval when it truly comes to life. First held in 1894, this action-packed celebration is one of the world’s largest winter carnivals, offering everything from ice sculpture workshops to vibrant night parades. Most events are clustered around several main sites in the heart of Vieux Quebec, but there are oodles of fun family-centered activities spread out across the entire city. Highlights include the iconic Ice Canoe Race on the St Lawrence River, the St-Hubert Snow Bath, and the two Saturday Night Parades, which take place along Grande Allée. 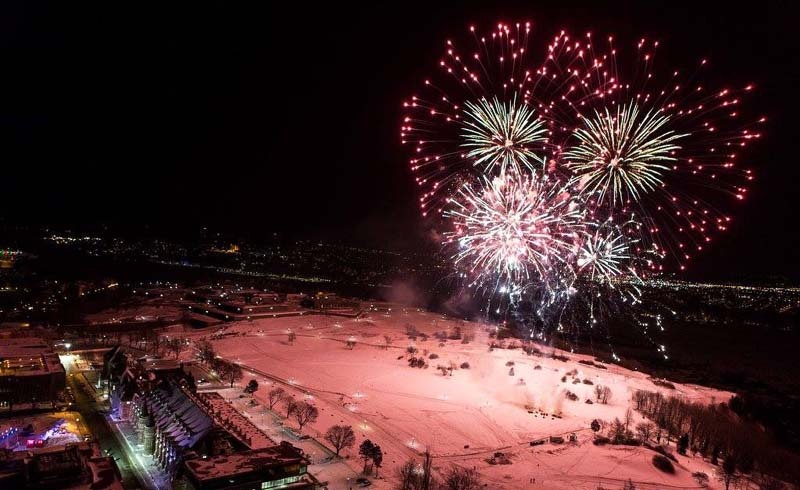 The 65th edition of the Quebec Winter Carnival will be held from February 8 to 17, 2019. After a day out and about through the narrow, snowy streets of Old Quebec, there’s no better way to warm up than with a visit to the spa. Luckily for you, this city has a strong love affair with Nordic spas, boasting a plethora of indoor and outdoor hydrotherapy circuits designed to rejuvenate the body and mind. The 2000-year-old Scandinavian ritual of alternating hot, cold, and deep relaxation is given top status at Strøm Spa Old Quebec. Nestled on the banks of the St. Lawrence River, only a few steps from downtown, this 32,000-square-foot facility has an unrivaled mix of water basins, alongside saunas, steam baths, and dedicated relaxation areas. 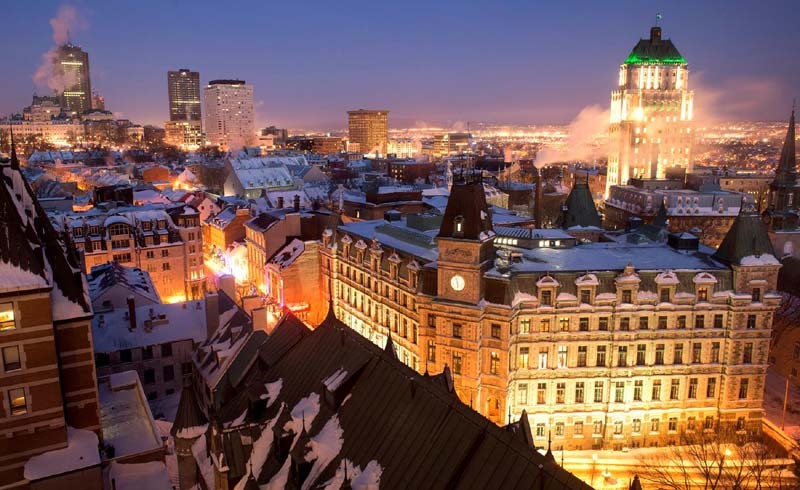 Alternatively, check out the panoramic Sky Spa – perched on the 17th floor of Quebec City’s Complexe Jules-Dallaire building, or head to the revered Siberian Station Spa, whose hot pools, invigorating waterfalls, and wooden retreat rooms are blissfully tucked away in a lush forest by the Yellow River. 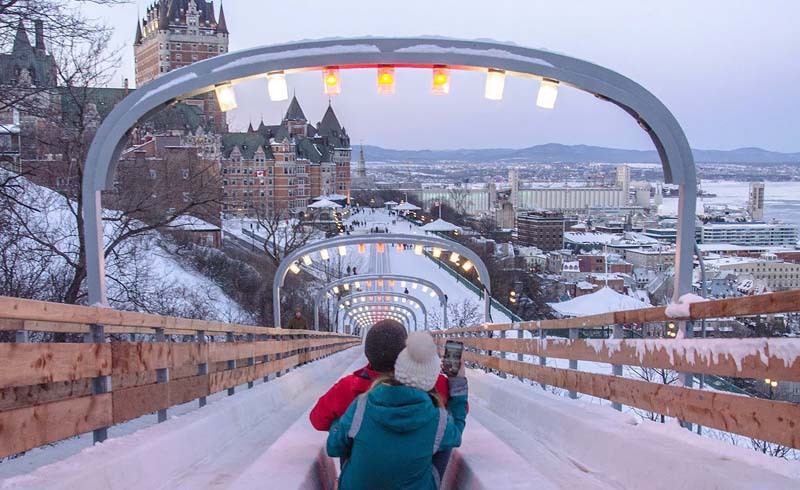 There is no shortage of winter activities in Quebec City, but few are as exhilarating as whizzing down the century-old Au 1884 toboggan slide in an old-fashioned wooden sled at speeds of up to 70 km/h. 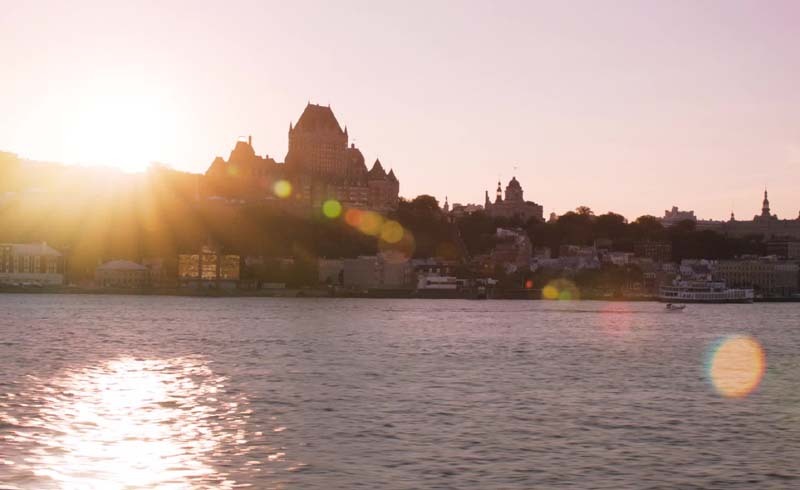 Stretching along the Dufferin Terrace boardwalk, right beside the famous Chateau Frontenac, Glissade de la Terrasse is not only one of the oldest attractions in town, but also a downright memorable one. The icy run is open all winter long (weather permitting) and rewards riders with sweeping views of the frosty St. Lawrence River. Oodles of European charm and joie de vivre, along with a huge public 4-day celebration on Grande Allée, make Quebec City one of the best places to spend New Year’s Eve in North America. The festivities kick off on December 28, when the town’s most famous strip turns into a massive outdoor party, complete with live music, exciting shows, and activities for the whole family. There will also be a Ferris wheel offering a bird’s eye view of the provincial capital, as well as food trucks, heated bar terraces, and giant fireplaces for partakers to warm up during the event. The Jour de l’An à Québec reaches its peak on the evening of December 31st, when revelers from around the world gather at Place de l’Assemblée-Nationale to dance the night away, ring in the New Year, and watch the spectacular fireworks display. 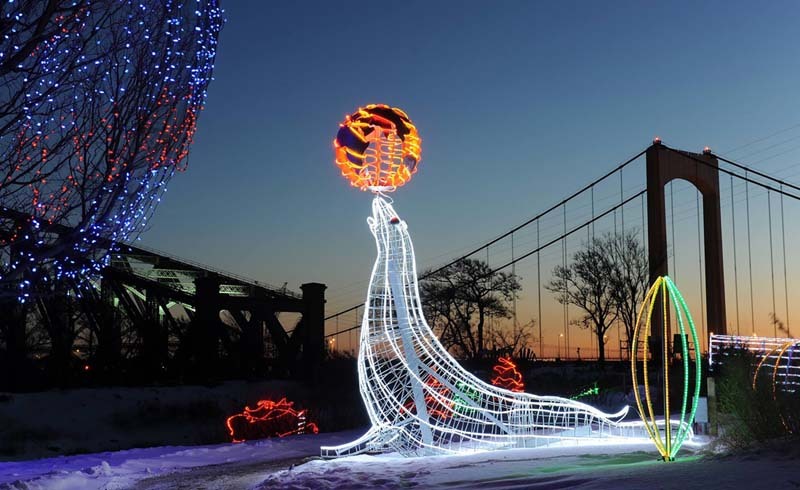 An annual light festival held at the Aquarium du Québec every winter, Festi Lumière transports visitors into a winter fantasyland complete with majestic evergreens, whimsical light projections, and marine animal-shaped structures – all wrapped up in joyous holiday music. From December 20, 2018 to March 10, 2019, the gardens surrounding the aquarium turn into an enchanted forest, with trees and pathways bathed in 500,000 colorful LED lights. Slide runs, inflatable games, and an outdoor bar with fire pits round up the entertainment offerings. Located just 20 minutes north of downtown Quebec, Valcartier Vacation Village is the perfect escape from the city. From December to March, the resort plays host to the largest winter playground in North America, offering over 35 snowy slopes, along with beautifully illuminated skating paths and designated kid’s zones. 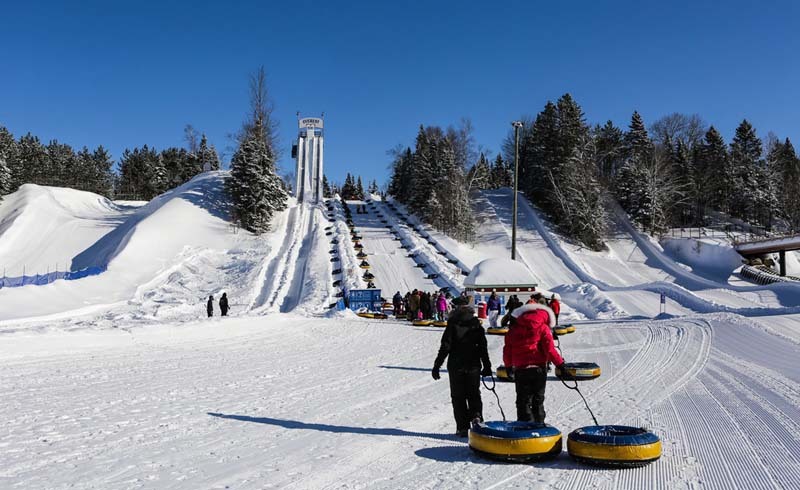 In addition to snow tubing, which is by far the park’s main attraction, visitors can also engage in snow rafting, relax with a massage at the Aroma Spa, have lunch in one of the restaurants on the premises, or enjoy a day of tropical fun at Bora Parc, the onsite indoor waterpark.